Wow...time just seems to fly when you are super busy!! Sorry I haven't posted in forever....but like I said, life has been busy!! I have multiple items to share with you today, which should last me until next week, right? Because I most likely won't have time to post again until after the holidays, and we get back to our normal life (whatever that might be, right?). First up is my card for CPS 147 this week. LOVE this sketch...love that it made me use this fabulous card cut from the Wild Cards cartridge for the Cricut. Card Instructions: Cut the scalloped cardbase and the inside from blue cardstock and striped paper at 5 3/4" using the Cricut Expression and Wild Cards cartridge. Layer them together. Cut a 5" circle from patterned paper and adhere to the front. Add a strip of paper and ribbon to the front. 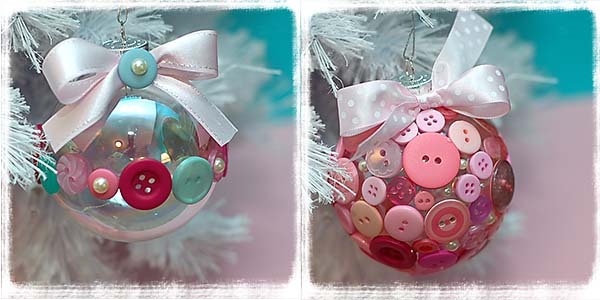 Layer a bow, button and twine on top of a acrylic snowflake accent and adhere to the front. 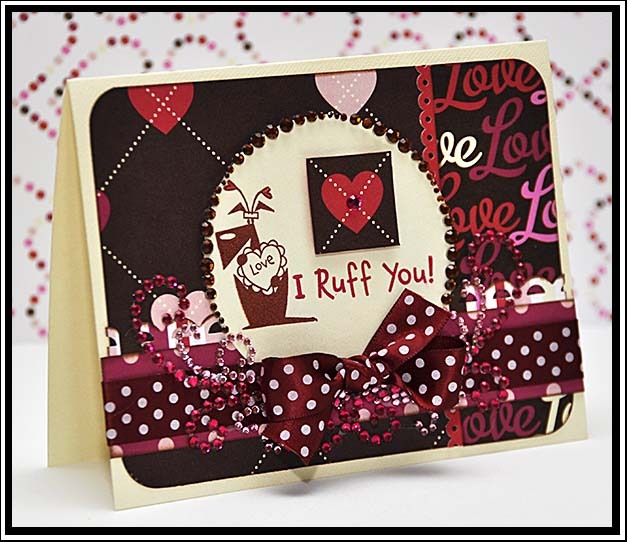 Add the sentiment diecut to the front, and accent with adhesive pearls. Up next is a love themed card that I did for the last TCP Tuesday challenge. You can check it out here...there is a great sketch to play along with! And I have had these cute TCP stamps for awhile now, and decided it was time to break them out again! Card Instructions: Round the corners and ink the edges of a block of heart paper using chestnut roan chalk ink. Adhere to the middle of the card. Round the right hand corners and ink the edges of a strip of love patterned paper. 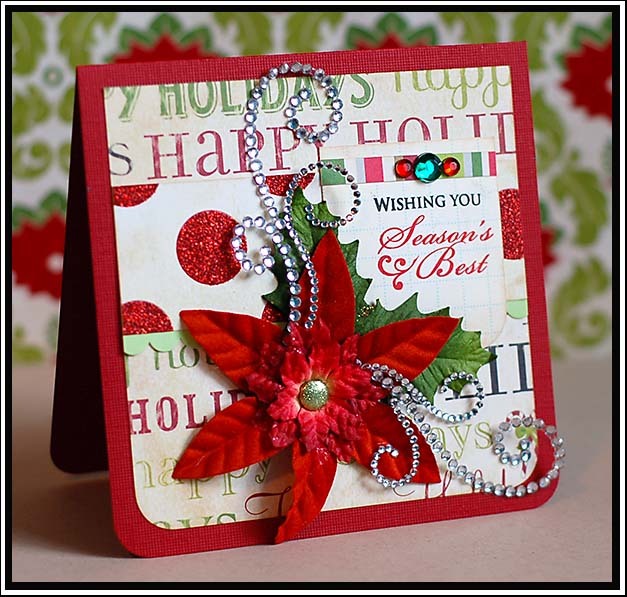 Add red paper frill to the left side, and adhere to the card. Punch an apron lace edge to striped paper and adhere to a strip of dotted paper. Ink the edges and adhere to the front. Cut a circle from cream cardstock and stamp the dog and sentiment to it using pigment ink. Adhere to the front of the card, and accent with a square of heart paper. Add ribbon and jewel flourishes to the bottom of the sentiment, and accent the circle with a brown jewel frame. I made these next few items for a gift exchange that I went to. My great aunt Judy had a tea party at her house, and I was able to attend. My grandma was also there, as was my aunt Shelly....and my aunt ended up with my gift! That was pretty cool! Anyways...I made a card set and ornament set for it, and here they are. The sports banquet was on Thursday night, and Case pretty much cleaned up on awards. 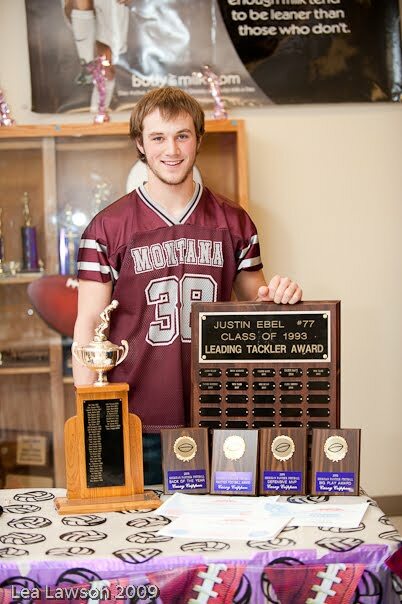 He got the two big awards that stay in the school with his named engraved on them forever, and those are Player Of The Year, and the Justin Ebel Leading Tackler award. 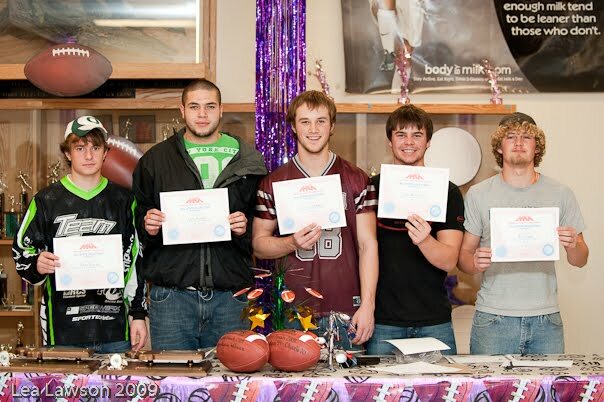 He received 4 team awards which go home with him, and those were: Back Of The Year, Panther Football Award, Defensive MVP, and Big Play Award. He was also named 1st Team All-Conference for 4 positions: quarterback, Defensive Back, Punter, and kicker. He is an All-State selection. He will be playing in the Treasure State game this coming June, where the select seniors from Class C east/south play the west/north . AND....he made Academic All-State!!!!! I think we were all SO excited about that one. 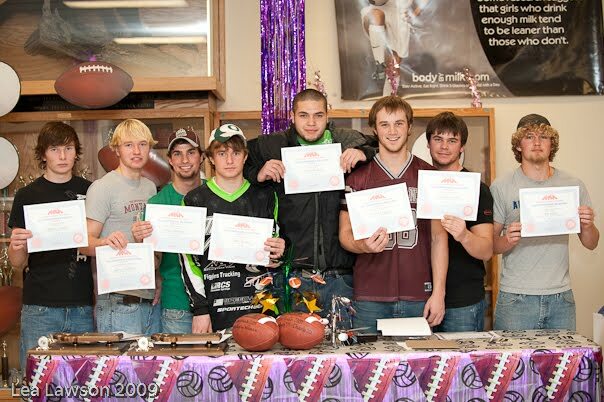 In order to be nominated for it, you have to have a 3.5 gpa in the quarter you played most of your games in, and you have to be getting a Varsity letter. Well....Case has gotten a varsity letter in every sport since he was a freshman....and I think this is the first time he has ever received this award. 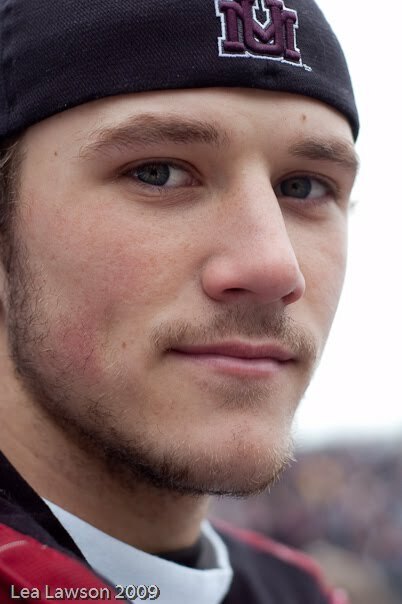 Needless to say...we are SO proud of this kid and all his achievements in football. I can't wait to see what unfolds for him in these coming months....many coaches from the smaller colleges have come to his school to sit down with him and let him know what they can offer him scholarship wise. So, that is pretty amazing! And last but not least...here are the two groups from his team. First photo is All-State selections, and the second photo is All-Conference selections. Pretty proud of these boys! ....that tonight's gonna be a good night!!! Anyways, more about that later. Let me just say that I have a silly little tutorial at the end of this that has nothing to do with crafting, but it is fun!! Be sure and check it out! But first, some card business! :) I have two cards to share with you today! 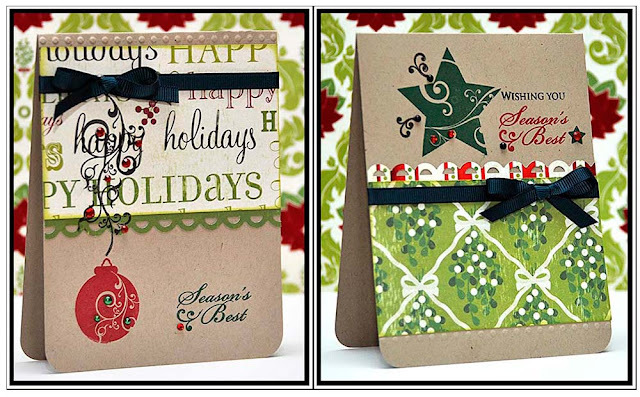 They are both based on the past couple of sketches at the Clean & Simple Stamping blog. First up is my card for last week's sketch FTL71. Card Instructions: Fold silver dotted paper in half to make your card and round the bottom corners. Round the bottom corners of a block of white cardstock and adhere to the front. Adhere green paper frill to the bottom of a strip of striped paper, and adhere to the top of the card. Stamp the swirl and sentiment in silver pigment ink, and the ornament in scarlet pigment ink directly to the front of the card. Add the ribbon to the top of the card, and accent with a bow, button, and twine. Accent the stamping with green adhesive pearls to finish it. And this next card uses this week's sketch at the Clean & Simple blog, FTL72. And I told you I would be using this stamp set again by RBD very soon! It is such a fabulous set....so many option in one little stamp set! Totally digging it! Card Instructions: Emboss a 5x7 white card front using the Cuttlebug and Swiss Dots folder. Round the corners of a block of white cardstock and adhere to the front. Punch a border to two of the three strips of patterned paper. Layer all three strips to the front, with the borders being on the top and bottom strips. Stamp the sentiment to the bottom of the white cardstock using Raw Silk pigment ink. Stamp the tree on a separate piece of white cardstock using Raw Silk & Green Moss pigment ink, and cut out. 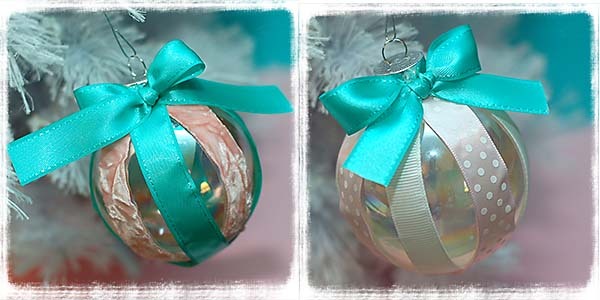 Adhere the tree to the front using foam adhesive and accent with adhesive pearls. 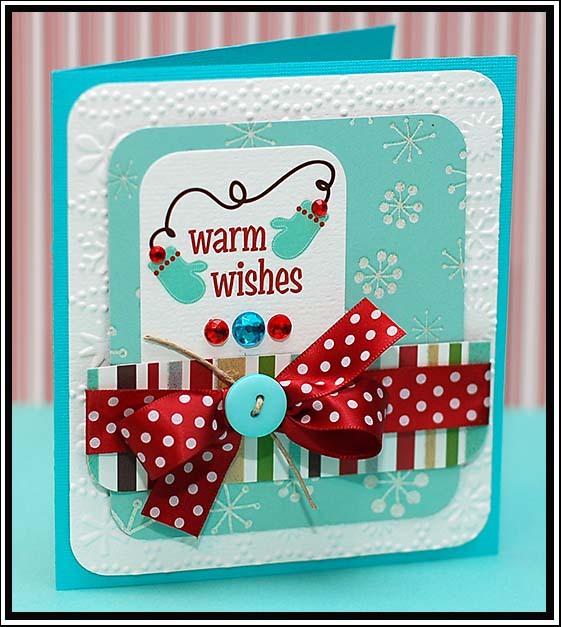 Add the ribbon to the front of the card, and accent with a bow and star pins. During the first part....just jam a little. Sing along if you know the words, have some fun, but keep it a little low key. Remember....its a longer song, and you need to keep your energy. Okay- are you getting ready to ramp it up a little? 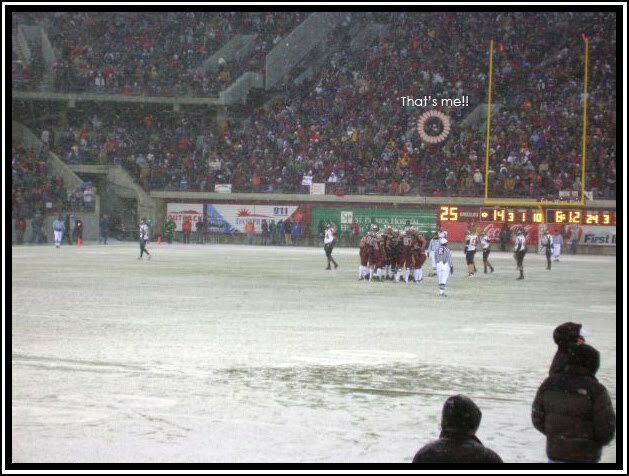 First you need to remember that you have about 1.5 square feet to your name in the stadium. The people around you probably wouldn't take to kindly to you totally invading there space, so just remember that. A little invading is okay...we all do it. If you want to REALLY feel the experience....go dress up in about 5 layers and have someone dump a little bit of snow on you while doing it. Is that taking it too far? :) I jacked this photo from someone's Facebook page....and circled myself. Looks pretty cold, huh? Card Instructions: Round the bottom corners of a red card base. Round the bottom corners of a holidays paper block and ink the edges with distress ink. Adhere to the front of the card. Distress ink the edges of a strip of glitter dot paper, and add a strip of green paper frill to the bottom. Adhere to the front of the card. Round the bottom corners and distress ink the edges of a block of graph patterened paper, and adhere to the front. Accent the corner of the paper with leaves, flowers and jewels. Add a green glitter brad to the center of the flowers. Stamp the sentiment inside the block using cranberry & sepia black pigment ink. Distress ink a thin strip of striped paper and adhere to the top of the small paper block, and accent with jewels. 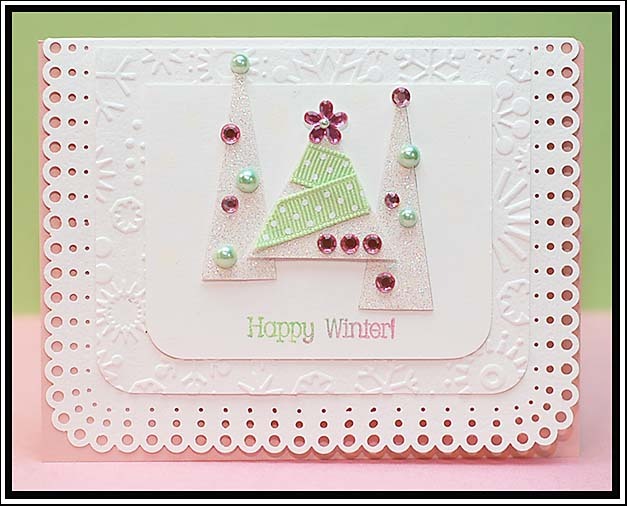 Card Instructions: Round the corners of a block of snowflake flocked paper and distress ink the edges. Adhere to the middle of the card. Distress in the edges of a strip of holiday patterned paper. Punch an apron lace border to striped paper and cut into a thin strip. Distress ink the entire border strip and adhere to the bottom of the holiday paper. Adhere to the front of the card. Accent the bottom of the holiday paper with ribbon, and a bow. Tie a button around the bow with twine. Cut the window diecut and its layers at 3 1/4" using the Cricut Expression and Christmas cartridge. Adhere it to the front of the card. Accent the window with a felt sticker and green jewel. It is COLD here! Like negatives and single digits cold! Brrrr....not a fan. But, tomorrow and Saturday are supposed to warm up into the 20's and low 30's....so it is practically going to be balmy! 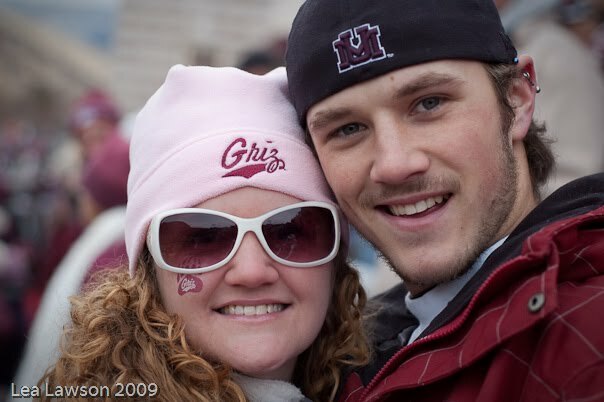 :) Good thing...we are headed to the Griz game on Saturday. I have a few cards to share with you tonight! I saw that American Crafts was doing a holiday card challenge on their blog, and all you had to do was use two of their products. Perfect time to break out some of the Merrymint line that I have and make some cards!! First up is this one, which is also based on the bonus sketch at 2 Sketches 4 U this week. I have plans to use the main sketch too...this one just happened first this week! Card Instructions: Fold dotted paper in half to make your card base. 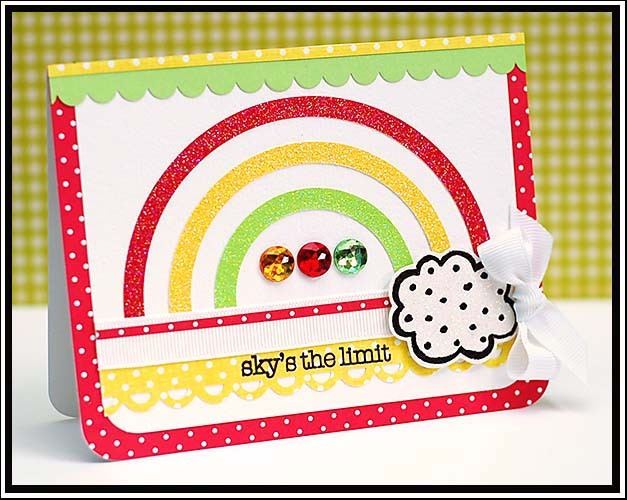 Add rub-ons to the lower right corner of a block of white cardstock, and emboss a border around the edges using a Scor-Pal. Adhere the block to the front of the card. Add red paper frill to the bottom of a strip of house paper and adhere to the front. Accent the snow on the house paper with glitter Stickles. Accent the card with jewels and pearls. The next card is also winter themed, and based on ICS #46. Fun little sketch...go check it out if you haven't seen it! 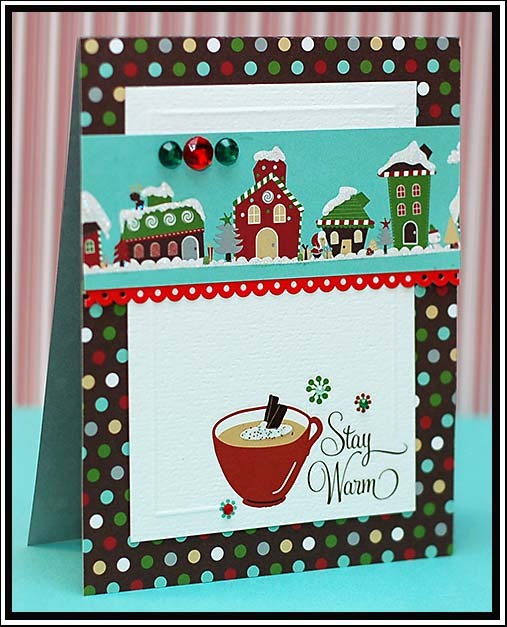 Card Instructions: Round the corners and emboss a block of white cardstock using the Cuttlebug machine and Snow Dots folder. Adhere the block to the middle of a turquoise card base. Round the corners of a block of snowflake paper and adhere to the front. 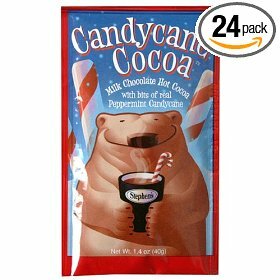 Round the bottom corners of a strip of striped paper and adhere. Round the top corners of a block of white cardstock and add the rub-ons. 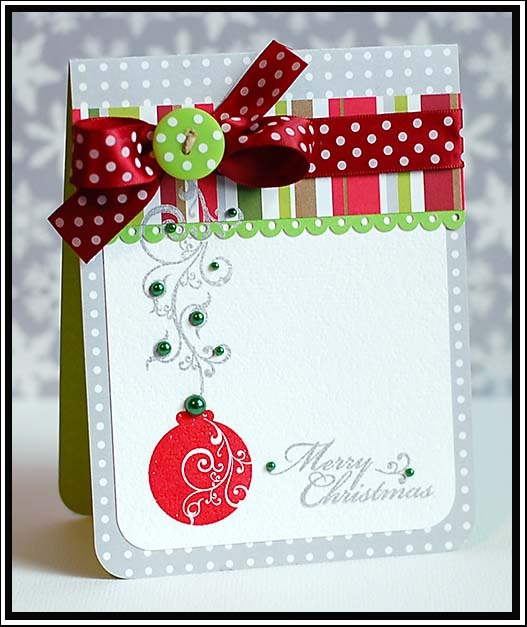 Adhere to the front of the card and accent with jewels. Wrap ribbon around the striped paper and accent with a bow, button, and twine. And last but not least, is this cute Christmas card based on Get Sketchy 17. 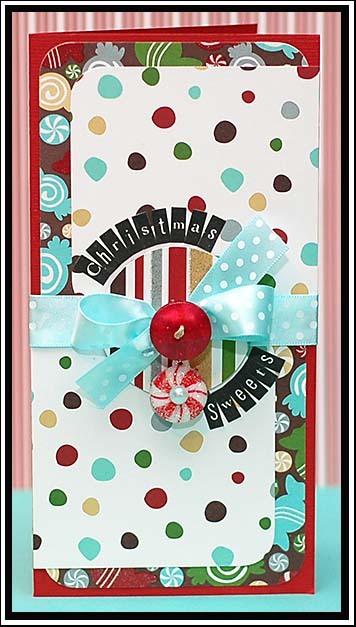 Card Instructions: Round the corners of a block of candy paper and adhere to the front of a red card base. Round the opposite corners of two blocks of dotted paper and adhere to the front. Adhere a strip of ribbon across the middle. Cut a circle from striped paper and adhere to the middle. 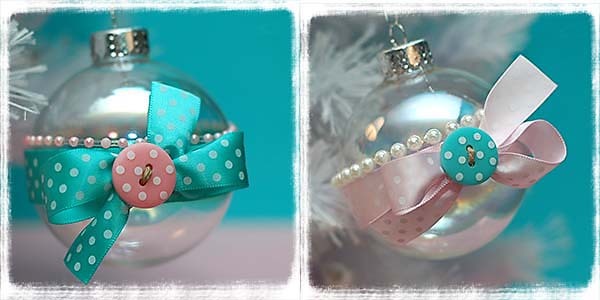 Hang a peppermint accent from the middle, and cover with a bow and button. Add the sentiment around the circle using black letter stickers. Eeeeeek!! YAY! 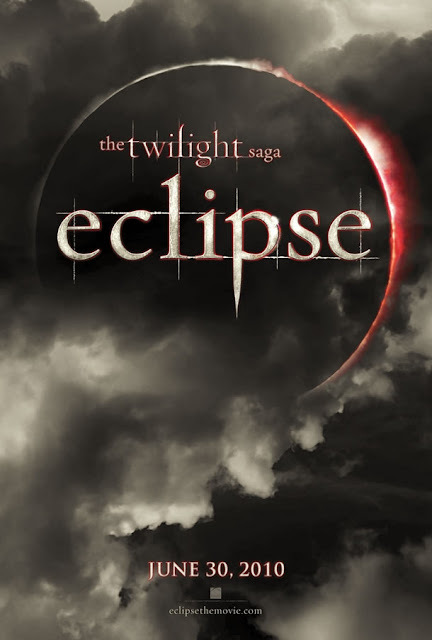 I want to go see New Moon again while it is still in the theater...with a better seat this time. 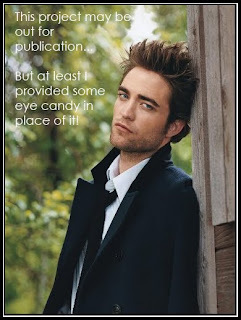 I loved it though....very excited to see the next one too! Well, I better get going for now. Going to watch Casey play basketball tomorrow afternoon in Drummond, and then they are coming home with us for the night because it is a lot closer than going home. 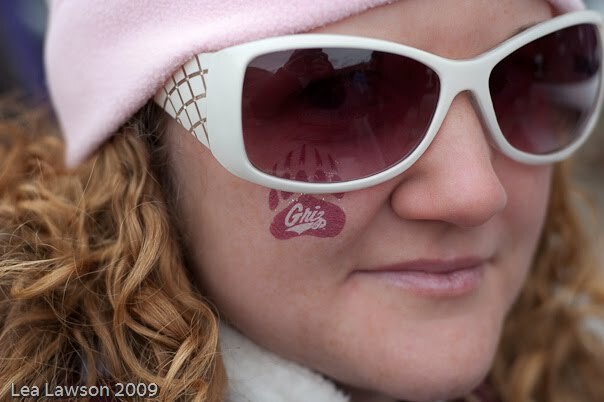 Casey also has ACT's in the AM here in Missoula, and then another game in Drummond. 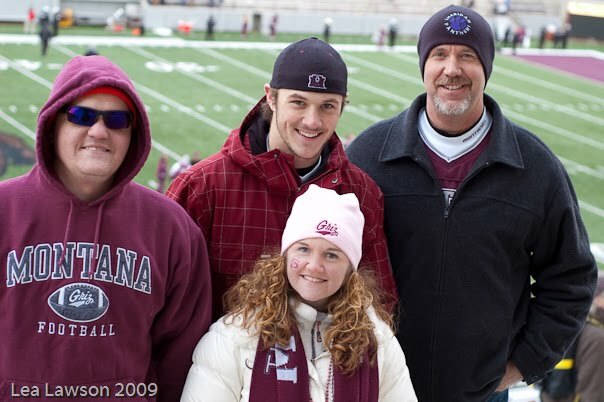 We are going to miss that one because we are going to the Griz game!! 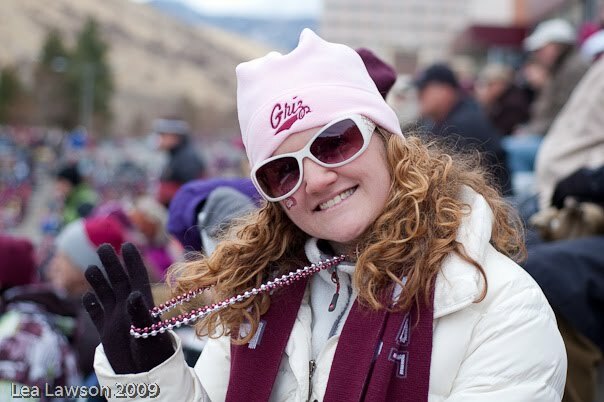 Pretty excited about that...saw online today that they were putting up lights for the game. It starts at 2pm, but the sun sets here around 4:30pm. So, they had to bring in the lights. 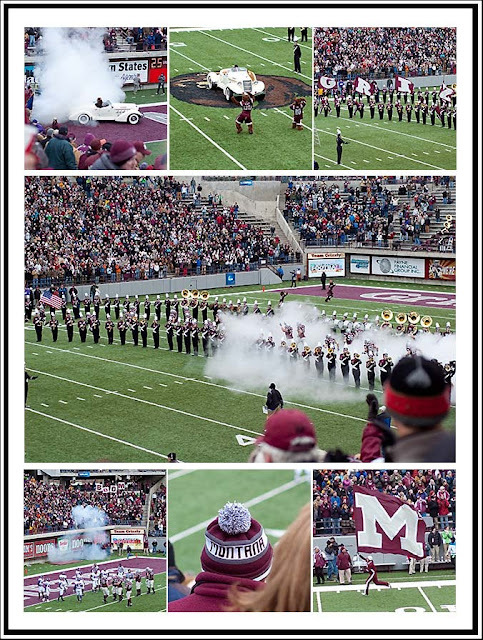 Hope the Griz play like they did last week...they were on fire! Card Instructions: Punch a border around the front part of the white card base, and cover the inside with pink cardstock. 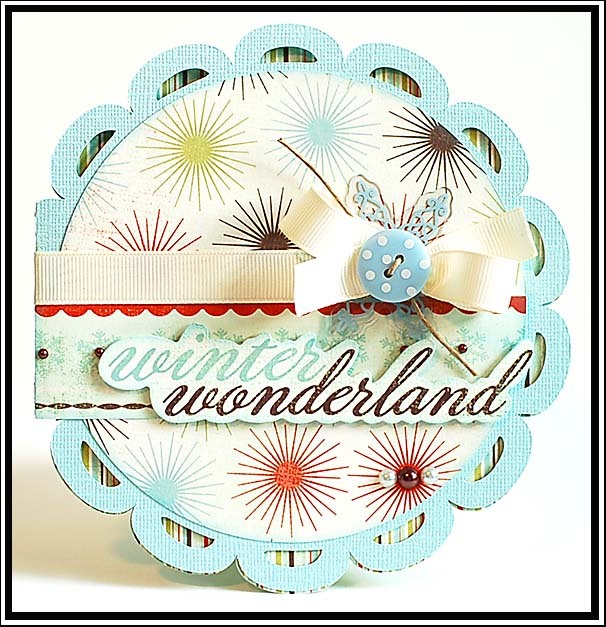 Round the corners of a block of white cardstock and emboss with the Cuttlebug and Snowflakes folder. Adhere to the front. Round the bottom corners of a non-textured block of cardstock and adhere it to the front. 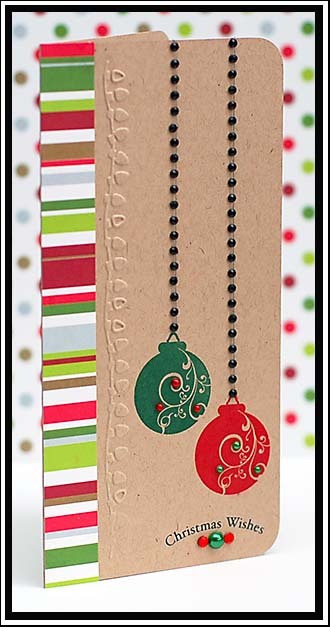 Cut two skinny trees from glittered cardstock using the Cuttlebug and Treetops diecut plate. Adhere them to the smaller block of cardstock. Cut a thicker tree from glittered cardstock and adhere to the front with foam adhesive. 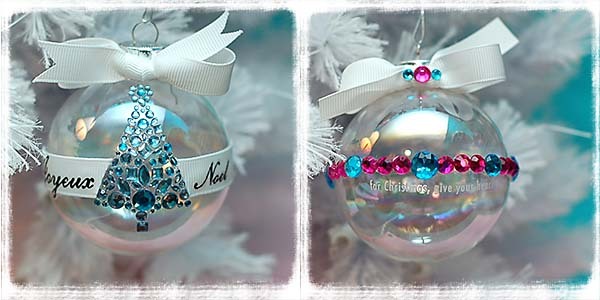 Accent the trees with jewels, pearls, and ribbons. Stamp the sentiment right below the trees using Ice Jade chalk ink and Dusty Plum pigment ink. And I don't love it because it has the word Twilight in it...that is just plain silly. The fragrance actually smells WONDERFUL...and I like how it makes me feel. 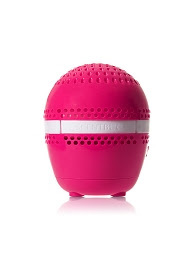 I feel pretty when I wear it, because I can subtly smell it almost all day. 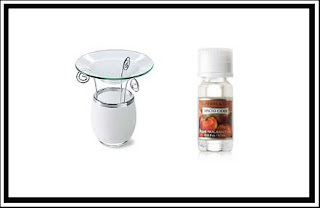 I have a thing about liking to smell good...it is probably part of my obsession with my house smelling nice as well....so I am always on the lookout for that next great scent. And I found it for now! Yay! Card Instructions: Round the right hand corners of your white card base. Round the right hand corners and ink the edges of a patterned paper block. Adhere to the front of the card. Cut six circles from cardstock at 3/4" using the Cricut Expression and Accent Essentials cartridge. Adhere the circles to a strip of white cardstock. Tie ribbon around the left side and accent with jewels. 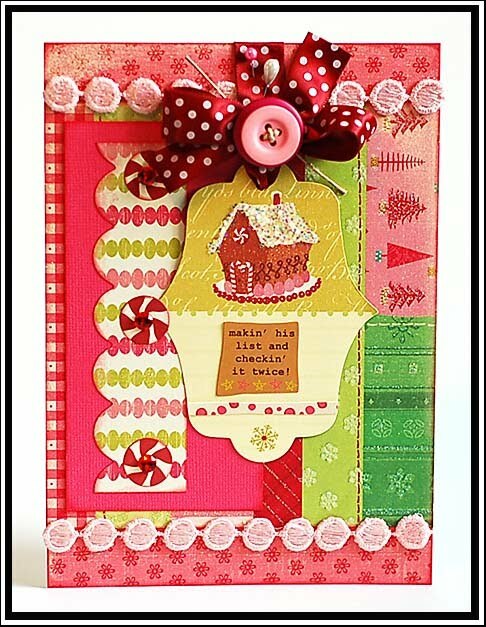 Add pink paper frill to the top and adhere the entire strip to the front of the card. Add your sentiment with rub-ons, and accent with small pink jewels. Card Instructions: Emboss a white card using the Cuttlebug and Love Language embossing folder, and then round the bottom corners. Round the bottom corners of a block of non-textured white cardstock and adhere to the front. 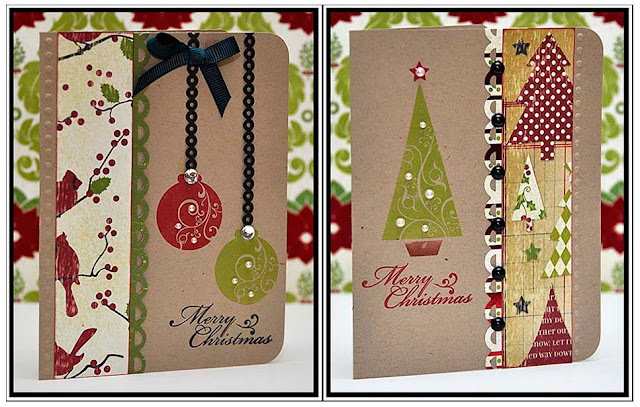 Pen the line around the block of cardstock and accent the bottom with three jewels. Adhere the chipboard bunny to the front, and then adhere the sentiment block with foam adhesive. Well, I better get going for now. I hope the rest of your Wednesday is a great one! Card Instructions: Round the corners of a block of apple paper and adhere to the front of a green card base. Round the corners of a smaller block of striped paper and adhere to the left side. Cut the apple diecut at 4.5" using a Cricut Expression and the Home Accents cartridge from red & green cardstock. Adhere the outline and stem to the middle of the card, and the apple insides to the left side. 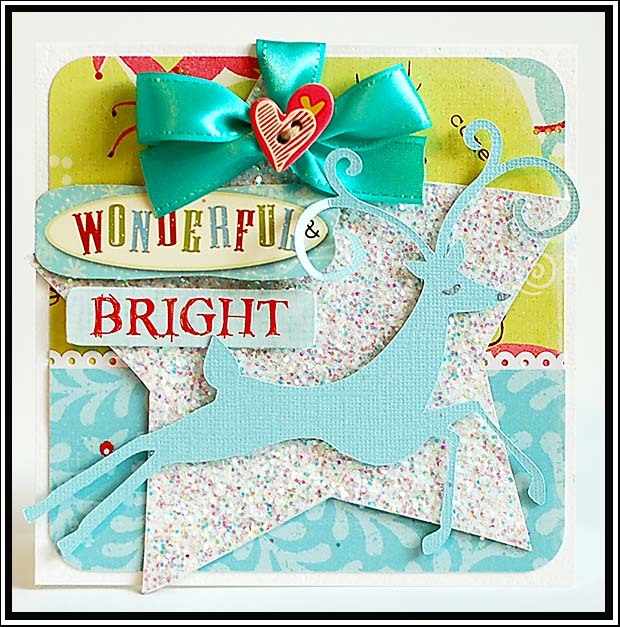 Stamp the sentiment to a diecut tag and adhere to the front of the card with aqua dotted ribbon. 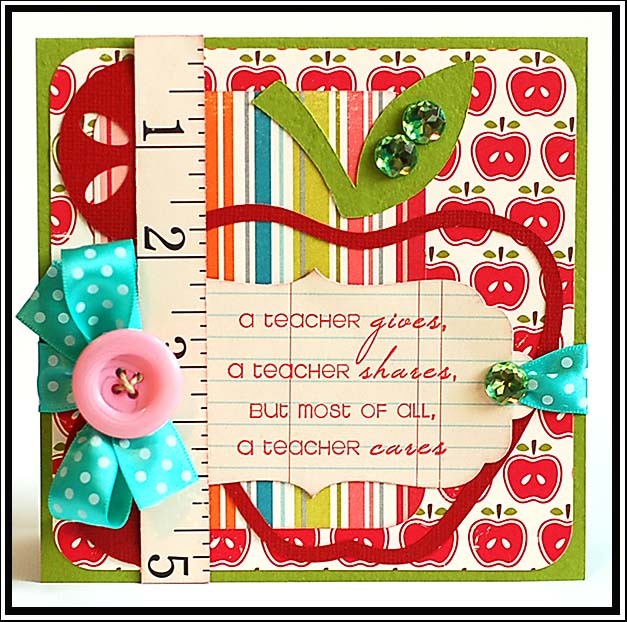 Add the ruler diecut to the left side, and then accent with a bow, button and twine. 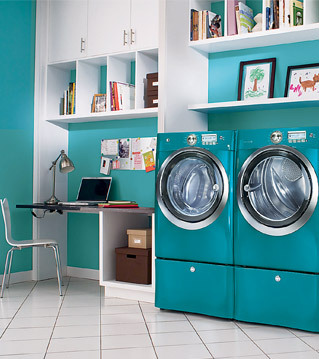 Finish the card off by accenting with limeade colored jewels. This next card is a fun one! The latest challenge at "Everything But The Kitchen Sink" is to use toothpicks! I decided I needed to take that challenge head-on, and this is what I came up with! The card is also based on last week's ICS Sketch #44, which I am a little late on. Oh well...better late than never! 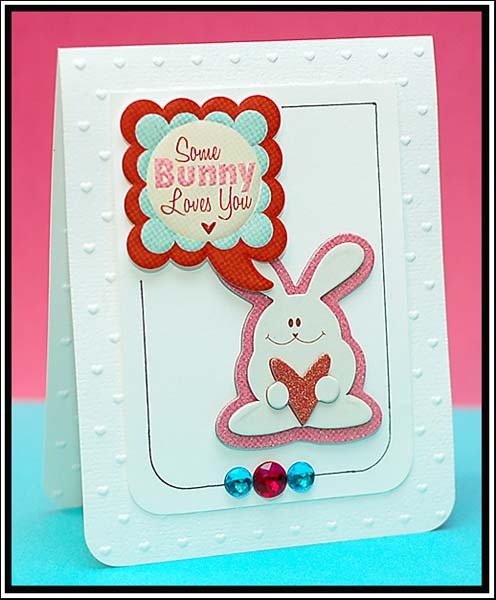 Card Instructions: Round the bottom corners and emboss the front of a white card base using a Cuttlebug and Swiss Dots embossing folder. Round the bottom corners of a block of non-textured white cardstock and adhere to the middle of the card. 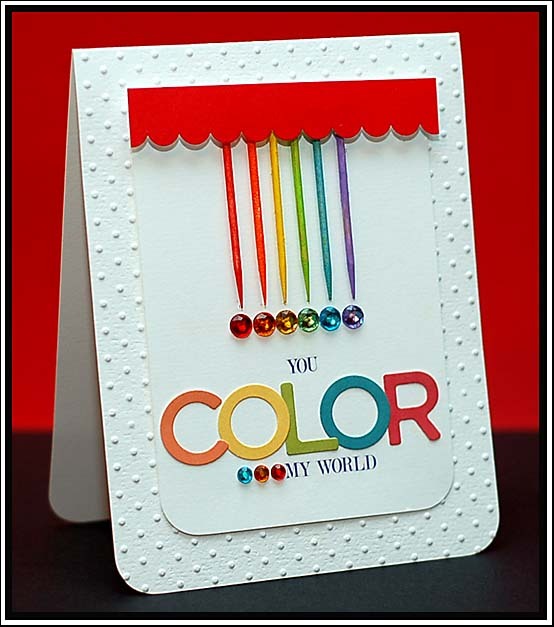 Coat the toothpicks with pigment ink of rainbow colors and then adhere to the middle of the white cardstock. Cover the top with scalloped paper frill, and accent the tip of each toothpick with the same colored jewel. Add the letter stickers, and finish the sentiment with rub-on letters. Add three more jewels next to the bottom part of the sentiment. And last but not least, is this little card in which I took the latest Bitten By The Bug challenge to use the phone cut from the "From My Kitchen" Cricut cartridge. It is also based on the Mojo Monday 115 Sketch. Josh pulled up all the boxes of Christmas decorations today, and moved the furniture around for me. I got the tree mostly decorated today, and will finish the decoration process this week. I like being able to take time to get the decorating this year....every other year before this I have had to shove it into a weekend somewhere. Kind-of nice being home more often. Still listening to Christmas music. One of my favorite Christmas songs is "Oh Holy Night", but I think "Oh Come, Oh Come Emmanuel" is quickly taking over that spot. Or maybe they can just both be my favorites! ♥ What are your favorite Christmas songs? Well, I better get going for now. Have a wonderful rest of your night!